Kreston Reeves is an accountancy, business advisory and financial services firm with offices in London, Kent and Sussex. They advise dynamic businesses, not for profit organisations and private individuals and families. They have international reach via Kreston International who have members across 125 countries. Kreston Reeves focus on a variety of sectors including academies and education, charities, financial services, manufacturing, agriculture and more. They strive to meet clients’ changing needs and provide peace of mind with a tailored service. 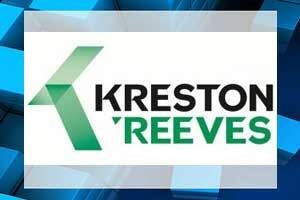 Kreston Reeves takes corporate responsibility seriously and actively encourages all colleagues to give back to their local communities, charities and and the environment with their initiatives. Kreston Reeves’ primary driver for a move to Office 365 was to make their business more resilient and to utilise their intranet much more widely, as well as incorporating a means of tracking GDPR compliance. Their existing environment centred on a SharePoint 2003 platform which was no longer meeting their needs, and the need for business continuity meant that migrating their data into the cloud and taking advantage of O365’s significant benefits would fulfil all of their needs simultaneously. The creation of a brand-new intranet in Office 365 split across a significant number of service and sector sites, as well as team subsites. The migration of existing content from their SharePoint 2003 environment to the new Office 365 intranet. The creation of private team areas and open collaboration areas to allow for specific ways of working depending on the project. Modifications to the news archive and events calendar areas of the intranet. The migration of Yammer and content from the existing free instance to an enterprise-level instance. Data migration and automated backup to be setup and scheduled for regular runs. A bespoke form to capture visitor details and notify employees of arrivals. A way to track GDPR compliance following the new regulations which took effect in May this year. A brand-new bespoke visitor form which captured contact details upon entry, notified the employee the visitor had come to see that they had arrived, and checked them out upon leaving. A GDPR Activity Tracker which allowed Kreston Reeves to ensure they were complying with regulatory demands. Following the appointment of OfficeLabs as the partner to deliver Kreston Reeves’ migration to the new cloud-based Office 365 environment, a framework for the intranet was mapped out and agreed upon with the client. Using OfficeLabs’ FastTrack SharePoint service, the first iteration of the new intranet was delivered within five weeks from sign-off, and the data migration completed from SharePoint 2003 to SharePoint Online in two days. All requirements were delivered and OfficeLabs kept Kreston Reeves up-to-date at each stage of the project with regular project calls and emails. OfficeLabs focuses on offering the best information management, governance and compliance tools in the industry. If you need a portal, intranet, workflow solution or any other mechanism to communicate, collaborate and share information, please get in touch today. Kreston Reeves advises dynamic organisations, private individuals and families on their business, tax and wealth needs. They help them make confident decisions about the future.